By Dr. Brent A. Sharpe, M.D. 1:9 men in the US will have prostate cancer. While that in itself can be frightening enough, many men also fear prostate cancer treatments. This fear mainly stems from the potential complications of erectile dysfunction, or ED, and urinary incontinence that may occur with curative therapy. The two most common types of these therapies for localized prostate cancer are surgery and radiation. However, with advancements in technology and the utilization of experienced radiation oncologists and high volume surgeons, these complications can be minimized through prostate cancer rehabilitation procedures. Here is how the experts at Georgia Urology look to do just that. 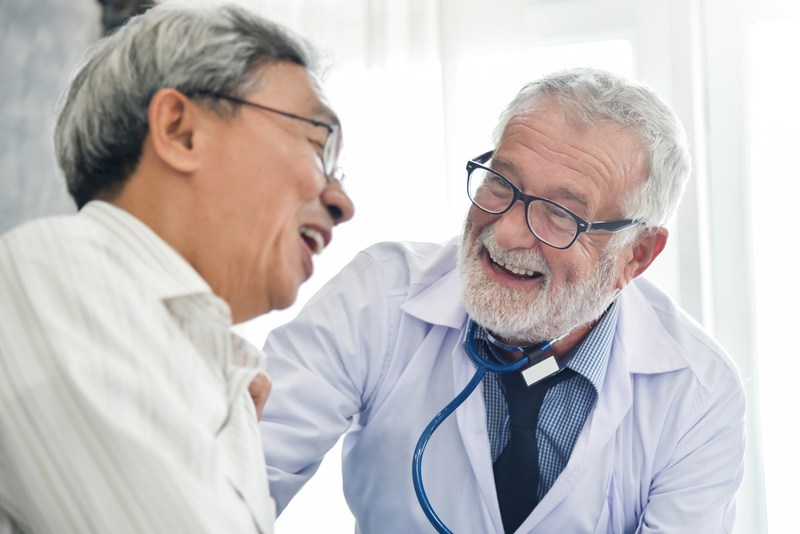 First, there are several measures that prostate cancer specialists normally take to reduce the recovery time for ED and incontinence. Most high volume surgeons will use a combination of oral and penile medications, as well as vacuum erection devices to help recover the erectile function sooner. For the urinary incontinence, they usually enlist a specialized physical therapist who concentrates on pelvic floor training in order to help patients recover quickly. Persistent incontinence and ED rates are approximately 5% and 30-40% after these treatments, respectively. However, there is still hope for these men! Medical prosthesis are devices which can be surgically implanted into patients and are great options for prostate cancer rehabilitation. Common examples are joint replacements and pacemakers. With the advent of urological prosthesis, essentially all permanent ED and incontinent patients have excellent curative options available to restore normal function. These options have been shown to have patient and partner satisfaction rates of 96% and 90%, respectively. A prosthetic urologist is a urologist with specialized training and interest in urological prostheses. They can help patients select the best device for their specific set of circumstances. Here are just a few of the options. Penile implants are devices that can be implanted into patients with significant ED and they are able to restore normal sexual function. To date, more than 500,000 penile implants have been placed. This surgery is an outpatient procedure that is normally done in less than one hour and most patients return to normal activity in 1-2 weeks. There are three types of devices and most result in a normal flaccid and erect penile state. Male urinary slings are a piece of material which is surgically placed underneath the urethra to allow repositioning and mild compression to restore urinary continence. The success rates for male sling exceeds 90%. If patients are experiencing more severe incontinence, then an artificial urinary sphincter, AUS, maybe a better choice. An AUS is a device that takes the place of the native sphincter which was damaged by prostate cancer treatment. This is a balloon that wraps around the urethra to maintain continence and is deactivated by the patient in order to empty their bladder. The placement of an AUS, with its 98% patient satisfaction rate, is one of the most patient satisfying procedures in all of medicine. As a prosthetic urologist, one of my personal stories is of a patient who was wearing 12 diapers per day. After having an AUS placed, he was able to resume his normal life. Both male slings and artificial urinary sphincters can be used to restore complete continence in men who have undergone prostate cancer treatment and can be done as an outpatient surgery. As one can see, men should not have to fear treatment for prostate cancer. Prostate cancer cure rates are excellent, >90%, and side effects are minimal and treatable with complete restoration of normal function. Here at Georgia Urology, we have countless expert urologists here to help you remain confident after your treatments for with prostate cancer rehabilitation. Contact us if you want to learn more or schedule an appointment with any of our team members.